The organizers of the Czech metal festival Brutal Assault announced new lineup additions — the bands Behemoth, Ministry, Saint Vitus, Blood Incantation, Broken Hope, and Aluk Todolo. This year's 23rd heavy music outdoor fest will be held fromAugust 8 to 11 in the Czech city of Jaroměř. Among the previously announced members are the bands WARDRUNA, CONVERGE, as well as AT THE GATES, THE BLACK DAHLIA MURDER, CARPATHIAN FOREST, PERTURBATOR and others. The festival's announcement: "Brutal Assault has got one of the first headliners for the next edition! 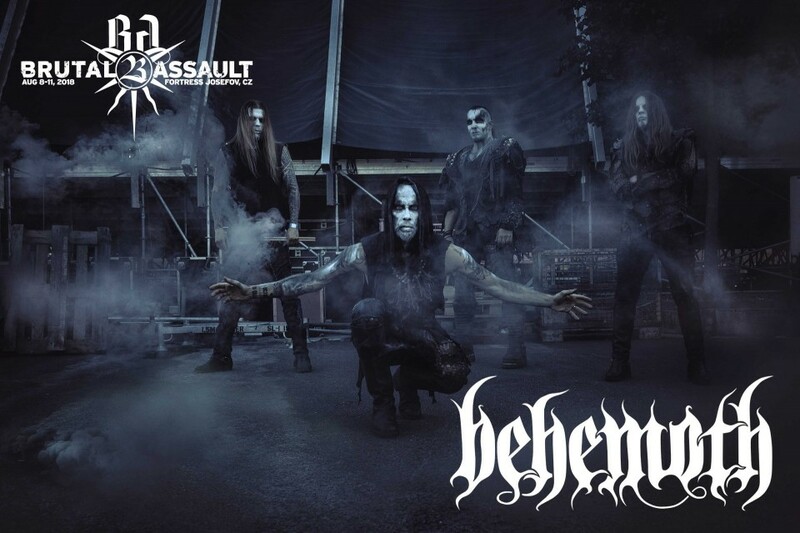 Polish black metal act BEHEMOTH is returning for one and only exclusive CZ & SK show in 2018! Last but not least get prepared for primordial vibrations and sonic manifestation of the forces of the universe channeled via hypnotic occult rock of the Frenchmen ALUK TODOLO."